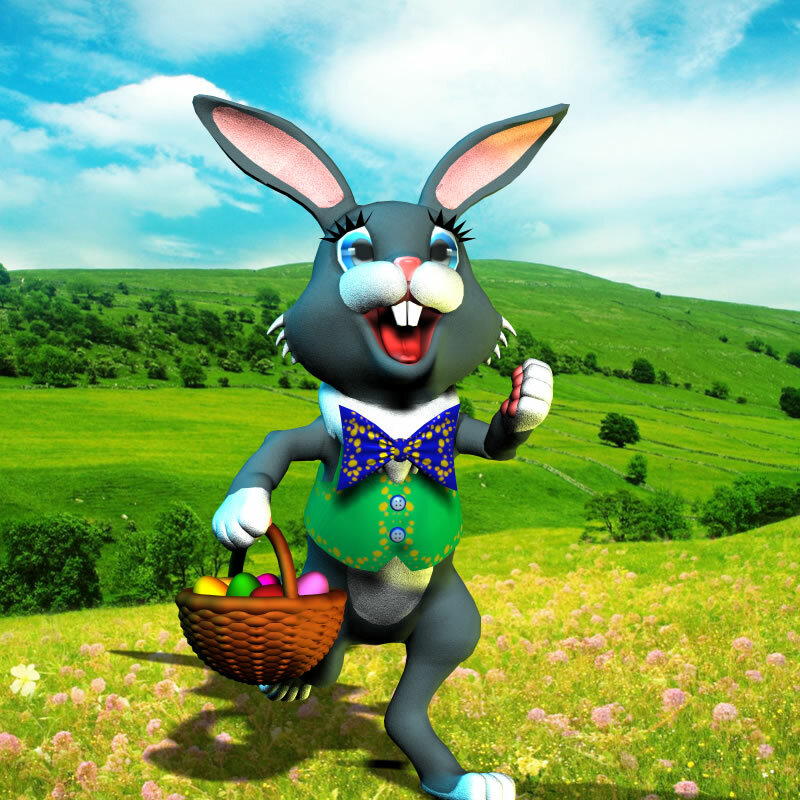 Toon Bunny(tm) the original Easter Bunny for Poser & DAZ Studio is back, and he's not alone! Now Toon Bunny INCLUDES Miss Bunny, his girlfriend and partner in the egg delivery biz, and they also have superhero costumes! Includes 37 Poses, 2 Full Character Models and 54 Props (Clothing + Stuff). Upgraded, improved and expanded since 2007! Toon Bunny is ready for every kind of adventure. Toon Bunny includes the classic Easter bunny kit, including multiple outfits and his handy egg basket, but Toon Bunny is so much more. You get original clothes and props for Easter, plus all features from previous releases - picnic, steampunk and more - and this year, he's ready for vacation himself, from flying airplanes and parachuting to boating adventures to just enjoying a tropical paradise. If you grew up in the 70's in North America, you probably spent some quality hours in December watching the Rankin/Bass stop motion classics such as the Christmas Television Favorites Santa Claus is Coming to Town, Rudolph the Red Nosed Reindeer, and a Year without a Santa Claus (and a selection of more religious programming). Meshbox designed a new character called Toon Santa in 2001 to capture the lovable appeal of that era, combining the appearance of stop motion dolls, clay-mation and traditional animation. Toon Bunny is another great holiday release in the Meshbox Toons spirit. IMPORTANT: Hair / Fur features take some work to get right in Poser! Tested and supported only in Poser 11 and higher. Both Toon Bunny and Miss Bunny include a "Fluffy" version which incorporates special native Poser hair props. This allows you to easily set properties for hair on each part of the bunny. Fluffy Chick! A small, very simple Poser hair supported chick to litter your Easter scenes. Six 800 x 600 Easter themed borders. * Indicates a pose that works with another model not included with this model.